The mobile business is a ruthless one, known for leaving giants on their knees, desperate and willing to bend their principles to avoid the possibility of extinction. Just ask Nokia, BlackBerry, Sony, and HTC. And it has only grown more cutthroat with time. It’s no surprise, then, that more and more phone makers are thinking outside the box on how to market their products, often turning to e-commerce platforms to increase their profit margins and lower operating costs. Lenovo, one of the biggest names in the industry, has been making a strong push for online retail over the past months, and it has recently teamed up with e-commerce company Lazada to bring its latest budget smartphone to the Philippines and other parts of Asia. 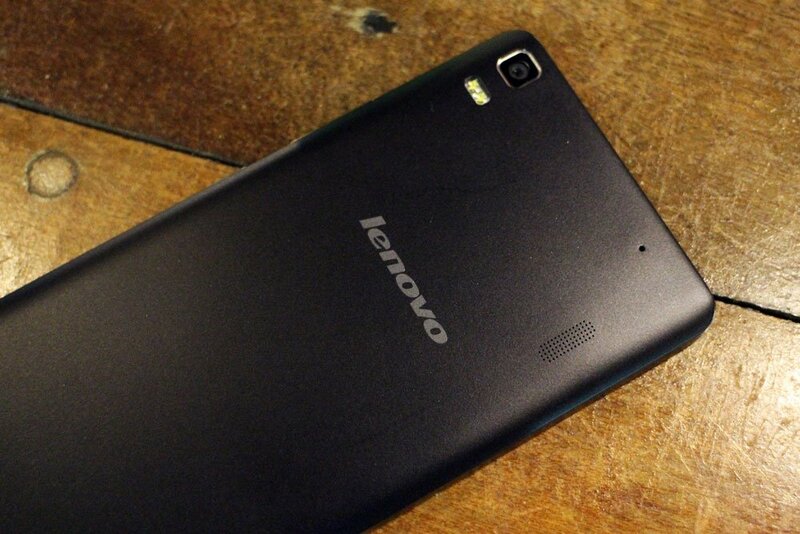 This is the Lenovo A7000, and it’s slated to cost P7,390 when it hits Lazada Philippines on May 21. But despite its humble looks and even humbler price, a lot is riding on it. In fact, it may very well be the product that determines if the Chinese tech giant should elevate its online strategy or dial down its ambitions. MY TAKE: A rectangular block wrapped in matte plastic is how I’d describe the A7000. It is, in a word, spartan, but it’s not all doom and gloom in the design department. It won’t win any beauty contests for sure, with Lenovo putting more emphasis on function not form, prioritizing user experience at the expense of aesthetics, as evidenced by a handful of design choices that have made the phone easier to hold and operate one-handed. The 5.5-inch IPS creen is bright and sharp enough for long-form journalism and graphic novels, with accurate colors that remain true from almost any angle. It’s surprisingly slim for a budget offering, measuring 8mm at its thickest point. It even feels thinner than it actually is because of the slight bevel on the longer edges of the rear panel. It’s comparatively light, weighing just 140 grams. That weight is evenly distributed throughout a body that’s skinnier and lighter than the ASUS Zenfone 2 and many other handsets that cost more. The placement of the power button and volume rocker is another thing Lenovo gets right; they’re located on the right-hand side, exactly where your thumb (for right-handed users) or index finger (for left-handed users) rests when holding the device in portrait mode. Speaking of the power button, you don’t have to press it often, as you can wake the handset from sleep by simply double-tapping the screen. There are other screen-off gestures baked into the software, and they all work as intended. Below the display, you’ll notice a row of capacitive navigation keys that, unfortunately, lacks backlighting. It’s a minor hassle in an otherwise very likable phone. For whatever reason, backlit keys seem to be unpopular among low-cost Androids at the moment. Even if the opposite was true just a couple of years ago. The 5.5-inch IPS display fronting the A7000 is made up of 720 x 1,280 pixels for a screen density of 267 dots per inch but doesn’t afford the same level of scratch resistance as, say, a Zenfone 2. A full sheet of Gorilla Glass, or a similarly hard material, doesn’t come standard with this Lenovo. Nevertheless, the screen is bright and sharp enough for long-form journalism and graphic novels, with accurate colors that remain true from almost any angle. And did I mention it’s big? It’s a great size for binge-watching TV shows and playing video games — the most demanding of which, like EA Sports UFC Mobile and Asphalt 8, run on the A7000 without any issues whatsoever. That’s not something I can say about many sub-P10,000 mobiles. The cameras are average at best when shooting in favorable lighting conditions and neither one is up to task of producing detailed images in low light. The next thing worth mentioning is the inclusion of Dolby Atmos audio in the package. Lenovo has been keen on promoting the multimedia capabilities of the A7000, touting it as the first budget handset on the planet to offer an immersive, surround-sound experience serial movie-goers will be familiar with. But as it turns out, all there is to hear about Lenovo’s collaboration with Dolby boils down to a basic equalizer app that doesn’t really spruce up the overall sound quality and only works if a headset is plugged in. For what it’s worth, it does make every beat, every note, every vocal line sound louder, though an immediate boost in volume doesn’t necessarily make watching movies or listening to bass-heavy tracks more appealing. The A7000 is equipped with two cameras: an 8-megapixel rear-facer accompanied by dual-LED flash and a 5-megapixel unit for all your selfie and video-calling needs. Unfortunately, both are average at best when shooting in favorable lighting conditions and neither one is up to task of producing detailed images in low light. 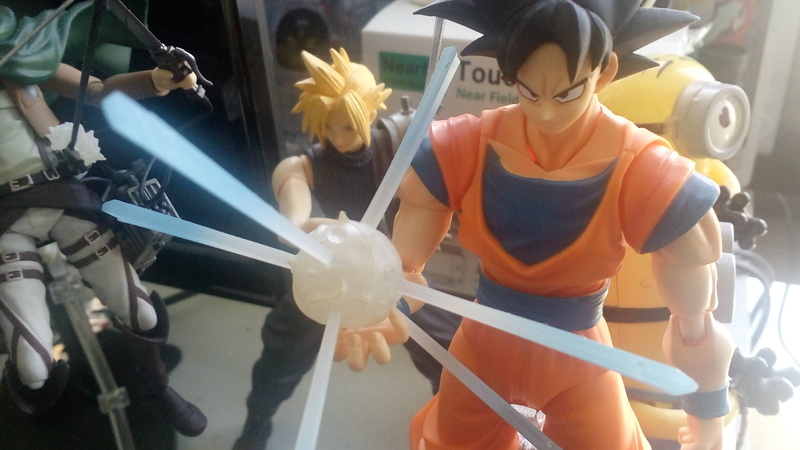 Photos taken with the Lenovo A7000. Click on and expand each picture for the high-res version. Most of the samples I took appear underexposed and overly noisy. 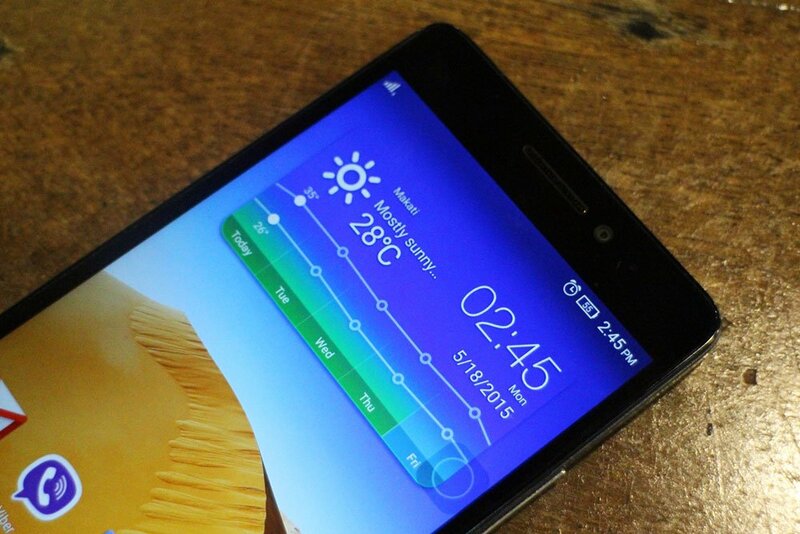 That’s a shame considering Lenovo’s default camera app launches and shoots fairly quickly. I also found that the main camera’s autofocus struggles mightily when recording 1080p footage. The eye test and benchmark results show that the A7000 is at least as powerful as Android heavyweights from last year that cost two to four times more money. I already mentioned the A7000’s gaming prowess, which renders resource-intensive titles fluidly on the 720p screen. 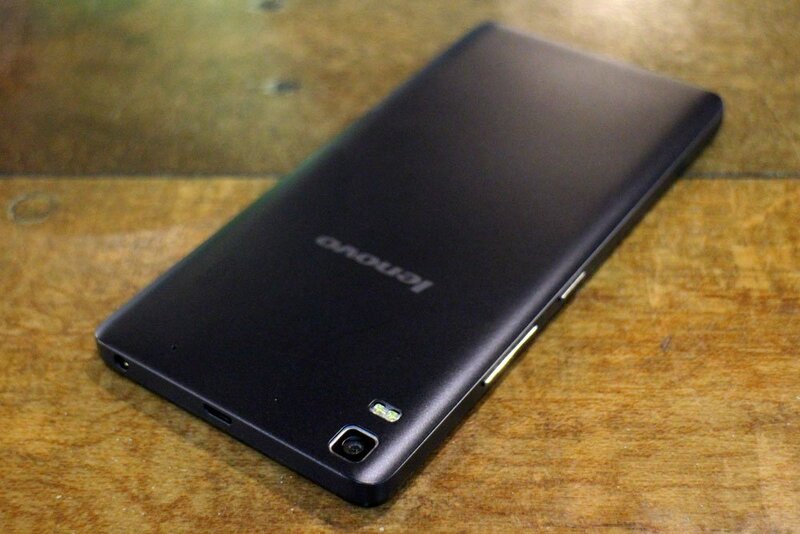 The brains behind the brawn is a 1.5GHz octa-core processor with Mali-T760MP2 graphics and 2GB of RAM. Internal storage maxes out at 8GB but is expandable up to an additional 32GB via a microSD card. The phone doesn’t disappoint when it comes to connectivity options, as it has 3G/4G LTE, WiFi, Bluetooth 4.0, and USB OTG. This is the first time I’ve played with a device powered by MediaTek’s MT6752m silicon, and I must say, I’m impressed. The A7000 delivers elite-level performance comparable to the 2GB RAM variant of the ASUS Zenfone 2 I reviewed last month. For those not familiar with ASUS’ signature phone for 2015, that means everything moves along smoothly, regardless of what you’re doing on the screen. That impressive showing extends to synthetic tests, and on the latest AnTuTu Benchmark and Geekbench 3 (multi-core test), the A7000 fared better than the Samsung Galaxy S5 and Google Nexus 5, racking up 42,697 and 3,685 points, respectively. Let me summarize that last bit: The eye test and benchmark results show that the A7000 is at least as powerful as Android heavyweights from last year that cost two to four times more money. Even more impressive, the processor doesn’t use much juice during normal operations and in standby mode. As a result, I was able to squeeze out one day and a half’s worth of moderate to heavy usage from the A7000’s 2,900mAh battery. In a video-rundown test, with WiFi switched on and brightness set to 50 percent, the phone managed 10 hours and 32 minutes, which is one of the longest playback times I’ve come across in a long while. Really, that’s about all you can ask of an affordable smartphone. I suppose it helps that the phone ships with the latest version of Lenovo’s Vibe UI on top of Android Lollipop, but most of the credit should go to MediaTek for taking the fight to Qualcomm and hitting the price-to-performance sweet spot so desired by every manufacturer. 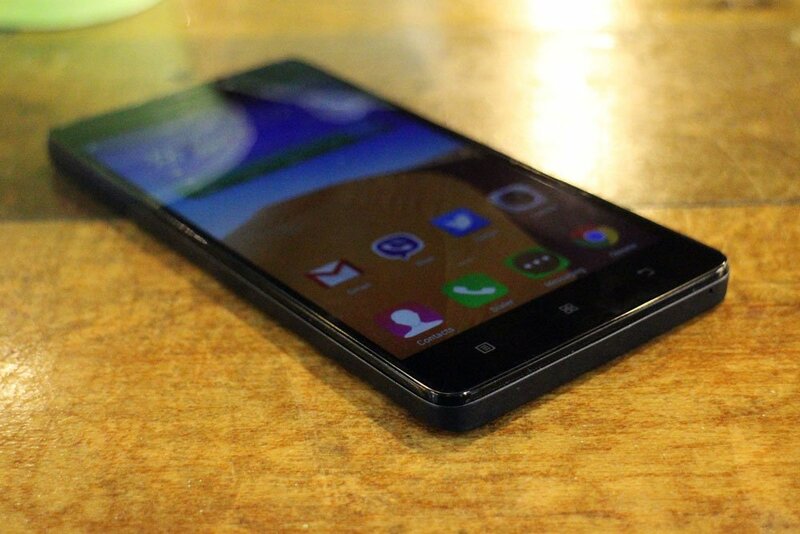 Here’s the thing: The Lenovo A7000 doesn’t have to be perfect for me to recommend it above any other handset in the bargain basement. 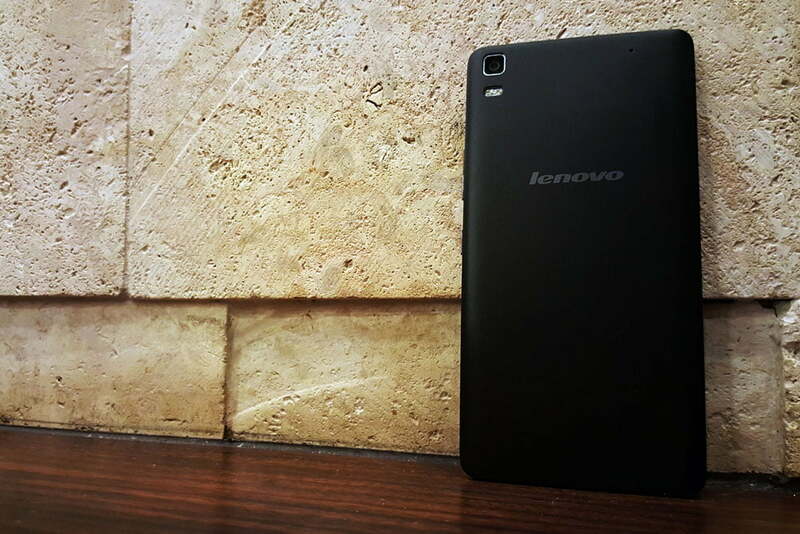 There isn’t much to dislike about the Lenovo A7000, but there’s a lot to get excited about here. Imaging capabilities aside, it is a significant upgrade over a lot of similarly priced products, including locally branded releases that have just hit the shelves. And here’s the thing: It doesn’t have to be perfect for me to recommend it above any other handset in the bargain basement. It packs enough processing power to compete with outgoing flagships — and it does so at a fraction of the cost. The ASUS Zenfone 2 might be getting a lot of attention at the moment for getting a lot of things right, but this challenger from China is no less compelling, especially if you factor in its P7,390 price tag. The bottom line: If you want the best value for your money, look no further than the A7000.